All Neighbourhood Plans have to be prepared following the procedure set out by government. Central to this procedure is the community engagement which is necessary to a) ensure the key community issues are identified and b) ensure that the plan has been prepared by taking in to account the views of those who live, work and carry out business in the area. Burley is the first parish council in Bradford to put forward a Neighbourhood Plan, so the process has been somewhat protracted since we have had to forge new processes within Bradford that will help the nine other councils that are following on behind. The plan itself enables residents to have a greater say over how Burley should grow in the years to 2030. While it doesn’t permit Burley to define the number or location of new developments, it does enable residents to vote in favour of a positive vision for the future. The Neighbourhood Plan sets out policies and guidelines for future development which everyone wanting to make any changes in the village will have to observe. 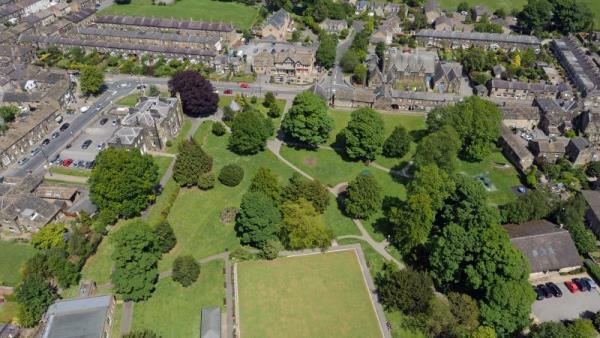 Our vision is to ensure that over future decades, Burley retains the attractive conservation area centre, and green belt surrounding border, which includes Ilkley Moor and its link down to the River Wharfe. Whilst the village will grow, this must be proportionate to its infrastructure and Burley will remain separated from neighbouring communities by green spaces. New developments will be designed to conserve and enhance the character of Burley, and to ensure that development needed to sustain the village is well located and designed and sympathetic to the distinctive local character. Such developments will be integrated into the community, benefiting both existing and new residents while enhancing the Wharfe Valley. Open spaces and community services will be improved and new ones created when needed – so that the village and its facilities work well for all its residents and visitors. The Burley-in-Wharfedale Neighbourhood Development Plan and supporting documents are available on the Bradford website here. While there was no obligation on a Parish Council to put together a Neighbourhood Plan, it has been an opportunity to help shape our future. The Parish Council has consulted widely and on several occasions and is unanimously of the belief that it will serve the village in the long term. A two day public engagement complemented by an exhibition that was held in the library during the following week. Over 500 people attended the exhibition and over 400 written comments were received. A second public consultation exercise with over 400 attending and returning 170 questionnaires. Informal consultation with Bradford on the contents of the draft plan. A third village consultation was held. Around 230 people attended and around 80 written comments were submitted. Pre-Submission consultations with Bradford Council. The Parish Council submitted the proposed Neighbourhood Plan to Bradford Council as the plan we wish to see adopted. District wide consultation run by Bradford Council. Proposed plan submitted for examination to an independent planning inspector. Independent planning inspector site visit to Burley. Inspector issues his report that recommends "the plan, once modified, proceeds to referendum on the basis that it has met all the relevant legal requirements. Bradford Council Executive meet to endorse the proposal to proceed to referendum. The Burley-in-Wharfedale Neighbourhood Plan Referendum took place on 3rd May 2018 with an 82% vote in favour. Accordingly the Neighbourhood Plan now forms part of the CBMDC Local Plan and will be used to help determine planning applications within the Neighbourhood Area.